The stable will supply one runner in the form of Cash Crisis to the Wagga Murrumbidgee race meeting on Monday, July 9 when competing in a lion open handicap over 1400 m with Patrick Scorse aboard jumping from barrier three with a field of 13 to run, overcast conditions are forecast racing on a heavy 8. Last start jumped awkwardly; 4th of 8 runners at Albury Open Hcp Jun 18 over 1400m, on rain-affected going; a 2-3/4 len behind Man Of Peace with 57kg. 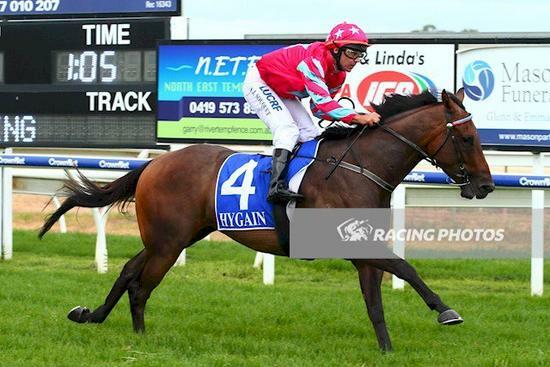 The run before that 8th of 16 runners at Sandown-Lakeside (Bm78) May 26 over 1200m, on slow going a 4-1/4 len behind Highland Beat carrying 55kg.